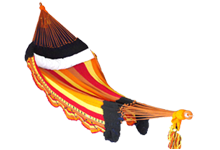 Our Santo hammock is inspired by the saints and spirits adorning stickers on the windshields of overcrowded, stop-sign-running buses all over Latin America. Devout followers show their yearly holiday devotion by dressing as devils and drinking alcohol while shooting fireworks in the general direction of the dearly departed. Want to show your devotion? 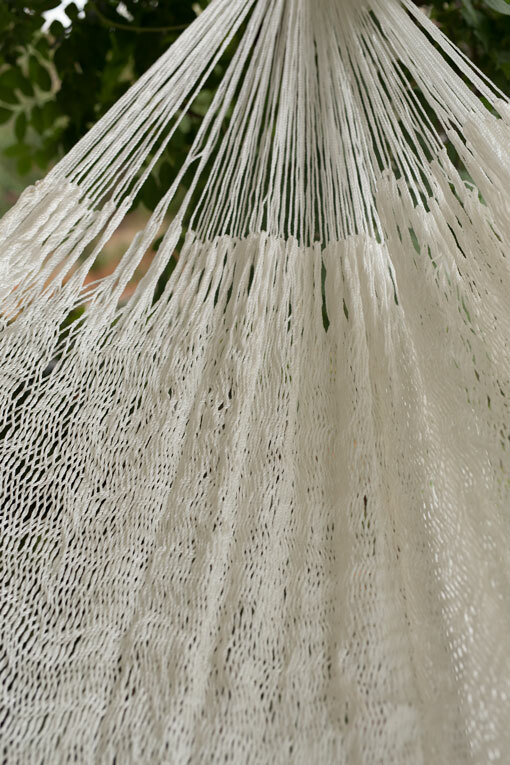 Relax, pray, and meditate in a hammock worthy of heaven. Purity of Color: All White. Room for Two: Stretches to 7.5’ wide and supports 800 lbs. The perfect indoor hammock bed for consenting adults. Guard Against Indecency, Cold: Don’t be a shirtless heathen. Cover yourself! 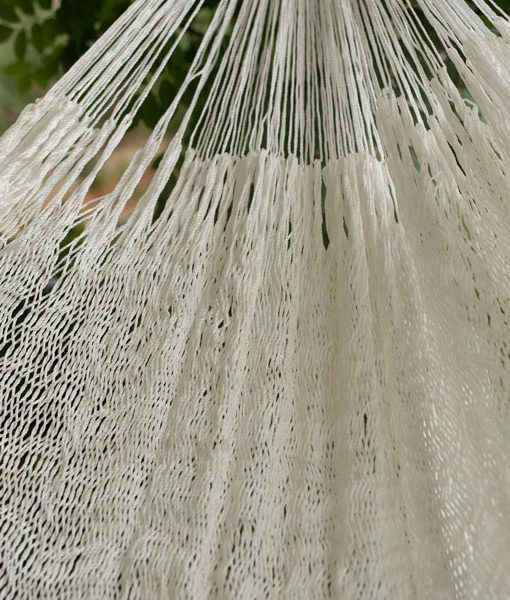 With beautiful and blanket-like white crocheted fringes. 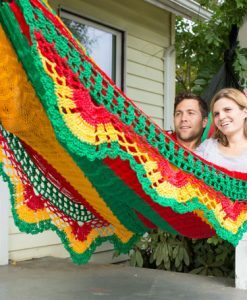 For anyone looking to sleep in their hammock you want to keep a few things in mind. 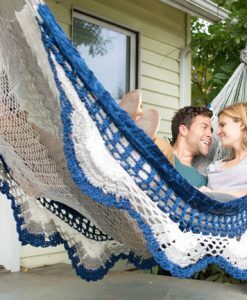 First is the appearance of the hammock. Do the colors and design gel with your bedrooms current color palette? The Santo hammock works great with bright and light colored bedrooms, alike. But if you’re bedroom features darker, or more earthy tones you might want to consider the Bandido or Revolucionario instead. 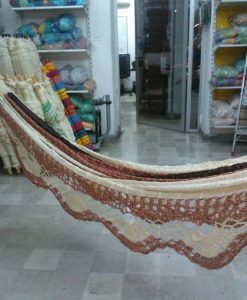 Secondly, the hammock should be a good fit. 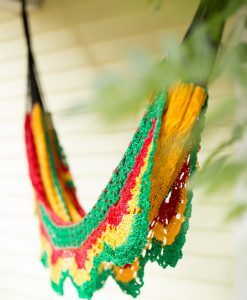 A hammock that is too small will work fine for a short nap of an hour or two. 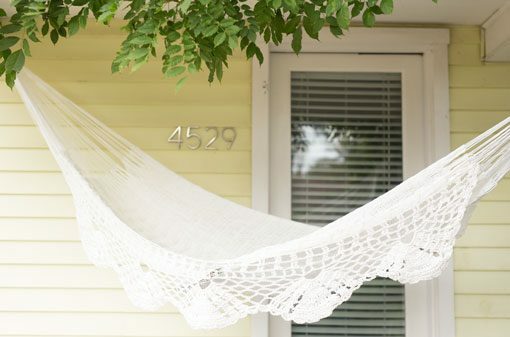 But, for an entire night’s sleep you’ll want a larger, wider hammock. 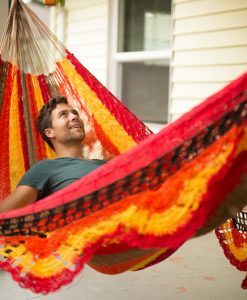 A large, double hammock will have sufficient width for you to lie diagonally or even sideways, changing positions to find the most comfort possible. 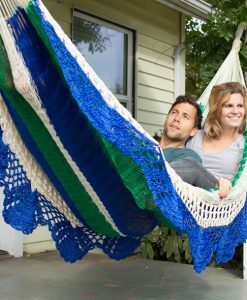 For an indoor hammock bed, remember: the most comfortable hammock is a large hammock. 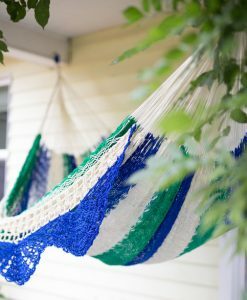 And since you’ll be spending the whole night sleeping in the hammock, comfort is definitely a priority. 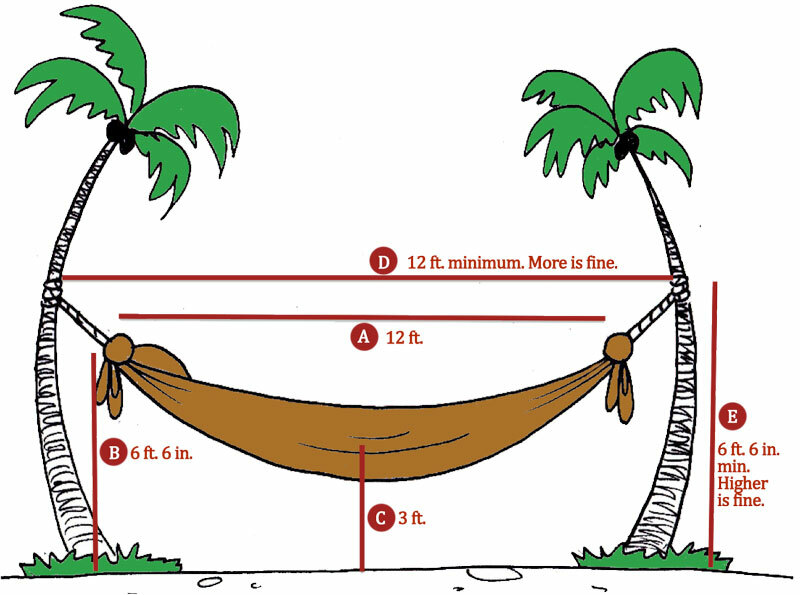 But besides the size, what else separates the most comfortable hammocks from all others? Material and weave. 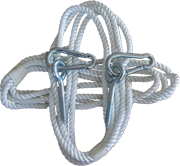 Lots of popular poolside or outdoor hammocks use all weather fabrics or Duracord rope. These work great in a hurricane, but they don’t breathe well and the stiff fabrics make them scratchy, rigid, and uncomfortable. 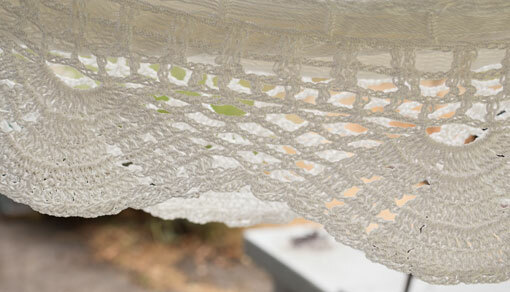 Natural cotton is much softer and more comfortable. 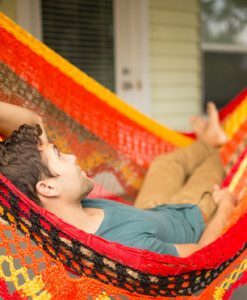 The open, double spring weave pattern of the Lazy Bandido hammocks allows them to stretch, flex and conform to your individual body weight and shape. 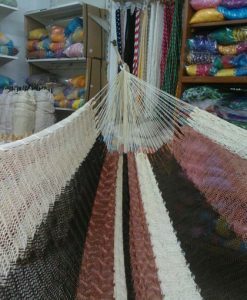 This elaborate weave, the soft nylon strings, and generous size make them the best indoor hammock beds you could ask for. 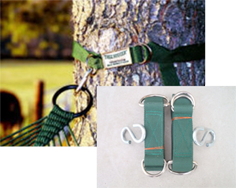 Don’t Forget: If you’re going to hang your hammock inside you’ll want to purchase a wall hanging kit. 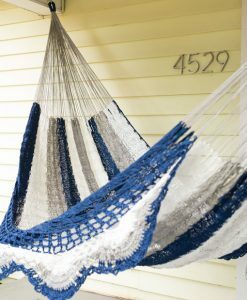 Hanging directions will come with your order, but if you want to plan ahead, you can read directions here on how to hang a hammock indoors. Ready for the best sleep of your life? 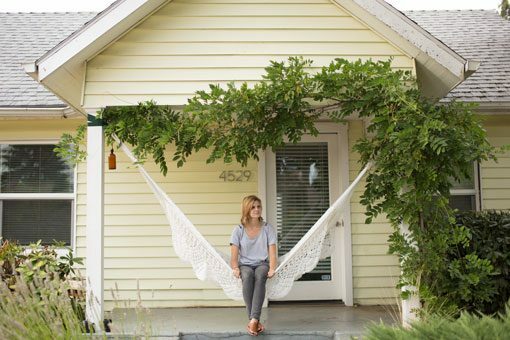 Change your life with the Santo hammock!